This year is already oozing out innovation and interesting notions when it comes to the social media campaigns till date. 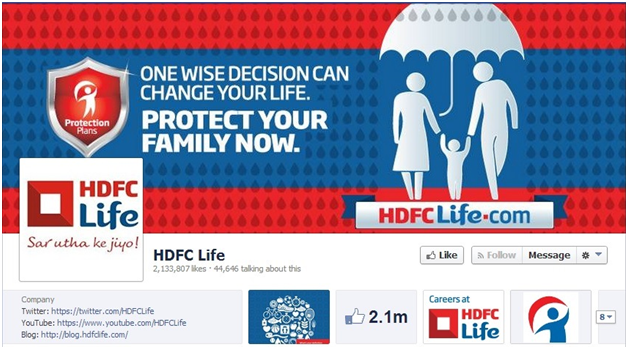 The brands ranging from FMCG to banking have chosen to innovate their social engagement levels. The year has began with campaigns which are innovative and have also been successful in catching our attention for being well-aligned to their goals and generate audience engagement. 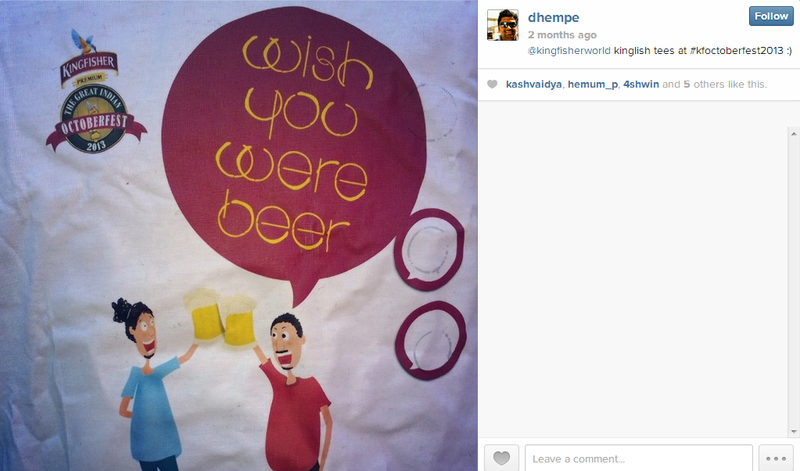 Here’s a curated list of a few campaigns which have worked out well in favor of the brands. This campaign was based on the options selected, users are presented with a futuristic version of their own timeline which goes all the way from 2014 to 2018, replete with pictures and videos of exciting travel experiences shared. The “Where I Belong” campaign has been wonderfully planned and packaged. It has fantastically kept the audience engaged as they had to answer a set of questions which will then take them to where they belong! And since the HDFC Diners Club International Credit Card offers special privileges for travelers, the theme integrated in an excellent way in the campaign. Asia’s first shoppable hangout was initiated by Myntra which enabled people to chat and shop simultaneously. Hrithik Roshan became the X factor for the novel trend. Myntra had managed to get the trend viral by conducting contests in two parts, online and fifteen winners from first contest, relished their personally autographed Hrithik’s poster. Hrithik’s brand HRX was the show stealer and the sales and 2500+ hangout users for this campaign posed as real stunners in response to the efforts put up. This definitely raised the bar for the marketers to market their brand in an innovative way. Using this Hangout, designers or retailers could publicly broadcast a multi-person video chat about their products while customers simultaneously could browse through the exclusive catalogue. Isn’t it cool? A campaign to promote the idea of travelling! Doesn’t this sound cool to you? Indeed it is; definitely something out of the box. 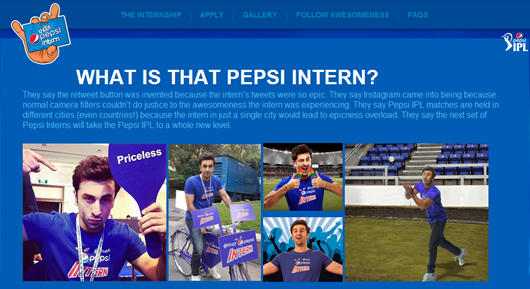 Zostel launched a website, for the #BestInternshipEver contest. This website hosted a 6-round competitive module, to earn points and make it to the leader board. The campaign process was effective in testing the various aspects of the participant’s personality in order to choose their winners who shall travel across the country. A 50 days’ sponsored tour across the country and a chance to win Rs. 50,000 is an extremely lucrative prize to participate in this contest. The chain method of inspired participants, made the campaign highly successful providing it the buzz on social media. Now this is definitely the Dream ‘Internship’ one could wish for. Sigh! Have you ever put yourself in a situation where you could get a fresh cupcake just with he help of your Facebook or Twitter account? For that matter your ‘Aadhar card?’ Yes. This ‘eTreat’ campaign was sure to bring smiles on the people’s faces with it’s cost-free cupcakes. The vending machine emitting these cupcakes were circulated to places in Maharashtra. This initiative marks the progress in the quality of marketing employed by our Government. Ranbir Kapoor is the most-adorned celebrity in the present age. Having said that, appointing him as an Intern for your brand is obviously going to get you the desired popularity and response. And also 4 lakh views for your brand video within a span of just 10 days. WHOA! This was just not enough for them. The campaign revolved around ‘hiring’ 3 interns who will be flown to UAE and 12 others will be taken to the Indian matches. They will be responsible for live tweeting their experience at the game and engaging with users online, giving them a microscopic view of celebrities, match updates using all sorts of social tools like Instagram, Twitter, Facebook, LinkedIn. The brand was successful in creating long lasting relationships with customers. User generated content testifies loyalty and Pepsi just hit the spot! 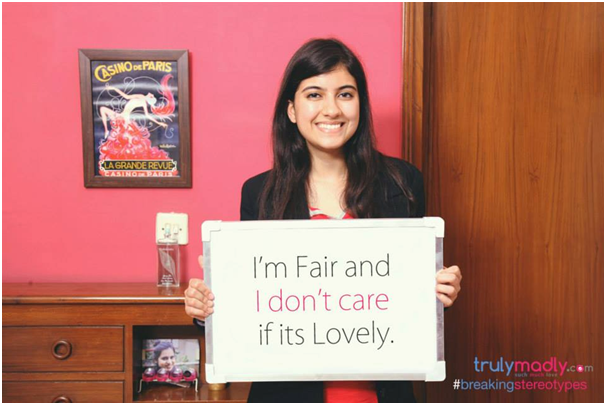 This #BreakingStereotypes Campaign was a great initiative to break down all the stereotypes that prevail in the society. The image below is strong enough to put forth the message of breaking all the ‘unimportant’ stereotypes and move on! In today’s world, what strikes the youth, is what tops the chart! Unique code to unique user. Phew! That must’ve required hell lot of efforts in execution and great minds in keeping the expected integration upto the mark. 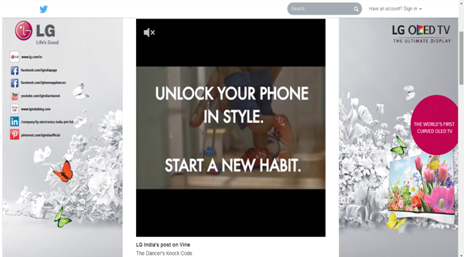 The knock code feature is an innovation by LG, which allows for over 80,000 lock combinations, using between two to eight taps for the knock code. There were also interesting videos on Vine and Youtube. After the process is completed, you stand a chance of winning LG’s KitKat OS based L90 or L70. This campaign definitely got eyes glued to it, atleast for the sake of confirming their place in the list of winners! Berger, if not eradicating the society issues in reality, was successful in highlighting them and engage the audience in an interesting way! Users were told to choose a problem they would like to eradicate, direct oneself towards their respective state on the map there,view the state-wise statistics for the same and have the liberty to share a message or a photo/video regarding the problem. This campaign was a huge success in sync with the issues highlighted. The collaboration of social media and social issues was seamlessly undertaken by the company. This was a one-of-a-kind campaign by Red Bull. The excitement was incited within the participants right from Step 1, i.e. a registration which included answering some bizarre questions for School of Indian Physics. And this was to enter an event in which competitors attempted to fly home-made, size and weight-limited, human-powered flying machines into the Sankey Tank, Bengaluru. The best part was the new series of AIB videos, the application process and all the activities lined up in the coming months helped differentiate this campaign, unlike any other done in the past. In fact, every element has been carefully picked to elevate the creative levels of this integrated campaign approach. As the IPL season progresses, Kingfisher organized BeerUps in every city represented in the IPL . The Beer Premier League was an IPL style competition with 10 cities being represented by their teams during the KFBeerUps. Trying to leverage the competitive spirit of teams & positioning itself as the common factor amongst them all, Kingfisher’s campaigns around the IPL are well thought out and interesting. Kingfisher kept the novelty factor up! 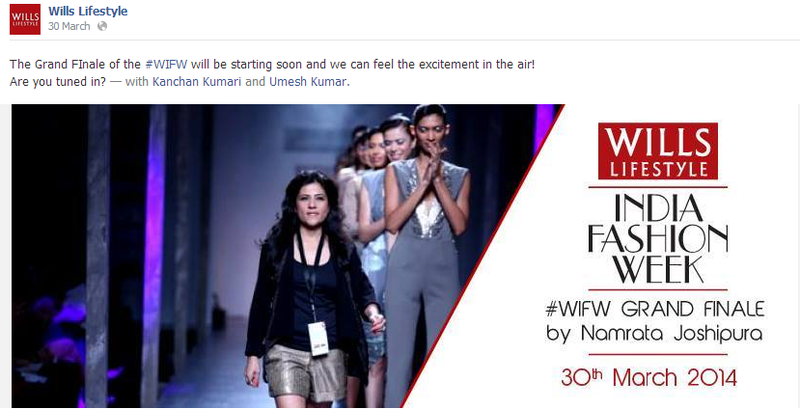 The Wills Fashion Real Time campaign was set in motion to coincide with the Wills Lifestyle India Fashion Week AW’14. The WIFW visitors were provided a complimentary RFID wristband through which they could automatically share the event in real-time with family and friends on Facebook and Twitter. The concept of involving visitors to participate in promoting the event is always a great idea, especially for a fashion event which has high visual content. 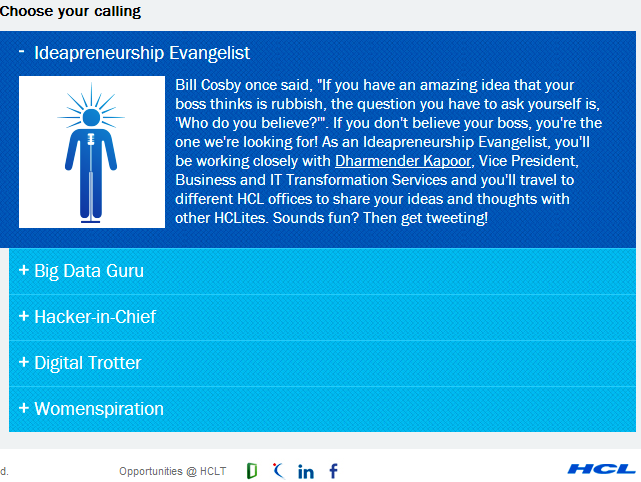 This campaign certainly is one bold and brilliant attempt by HCL Technologies in positioning themselves as a trend-setter in social recruiting space. We can foresee many Indian companies who are open for innovation, adapting this practice in the near future. 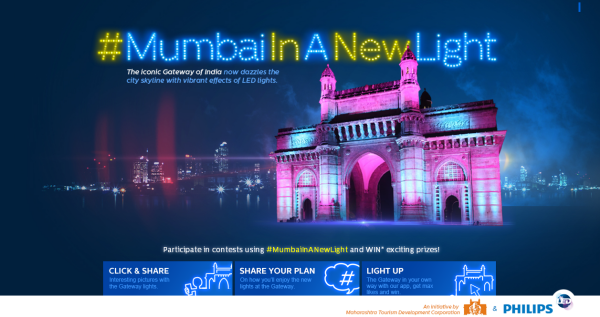 Philips carried out this campaign of lighting up The Gateway of India in different hues was Philips India’s way of letting people know about their LED-lighting systems. The Gateway of India was lit in the tri-color of our national flag giving it a patriotic angle on the eve of Republic Day. WOW! The audience connected very well with the campaign through twitter and the brand managed to create awareness amongst the masses. This campaign was one of the well-ideated campaign that deserves an applause. This activity elevated the brand’s cool quotient to newer levels. 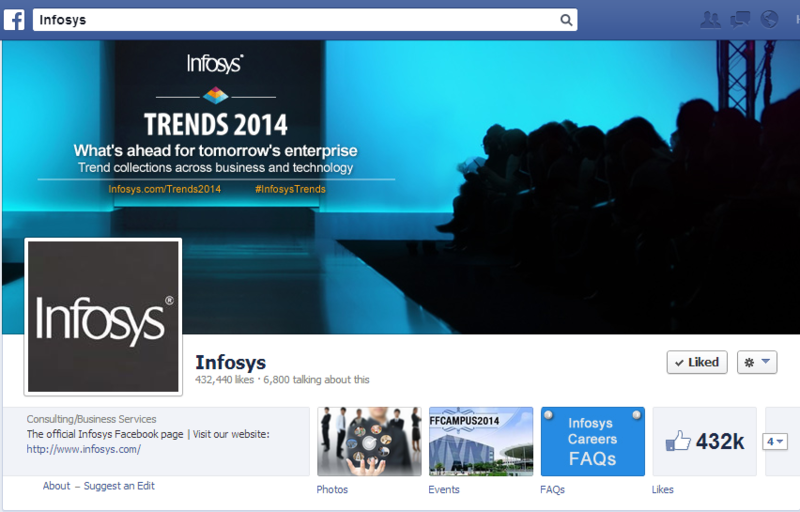 An integrated campaign, Trends 2014 is featured on the homepage of Infosys’s website, anchored by a video that introduces the thirteen sectors of Business and Technology (Retail, Banking, Cloud, Big Data, to name a few) which have been assessed to predict the trends relevant to the industry and the sectors that Infosys operates in. Also, an audio version of the ‘Tweetchat’ in which the thought leader spoke about all the trends discussed on Twitter was put on their website. The Standard Chartered Mumbai Marathon is already popular and a lot has been spoken about the diets and exercise regimes runners should follow. Thus, the brand wanted to do something different on Social Media. 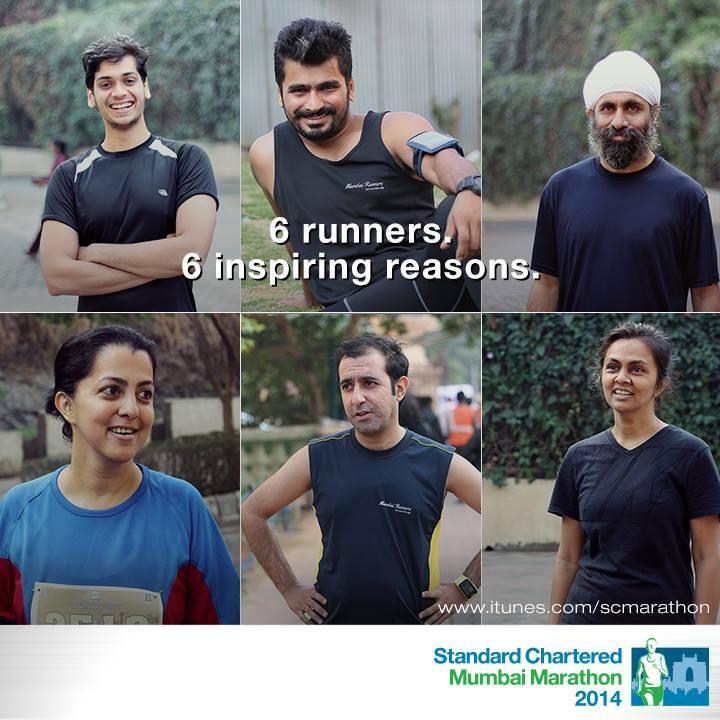 They collaborated with Mumbai Runners, a community of runners based in Mumbai to promote the event. A few days back, folks from the brand also visited the Powai run and captured videos, images and spoke to the runners participating at Mumbai Marathon 2014. A Facebook app ‘Mumbai Marathon Runners Speak’ was also created. The brand made use of the common faces to promote the campaign which emotionally attaches the participant to the entire event. Through this integrated social media campaign, Tanishq strives to reach out to young girls and soon-to-be brides. The campaign was straight, with a somewhat explicit picture, of a couple kissing under water (and perhaps swimming too at the same time), on its home page. All you had to do is hit the ‘Confess Now’ button on the home page and make your confession. The campaign is a highly intelligent way to engage with consumerist brides who are passionate about their weddings. It successfully communicates and reinforces the brand message to social media enthusiasts.